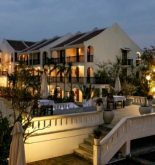 Vinh Hung Riverside Resort & Spa is located in the heart of Hoi An old quarter so it is distant Cua Dai beach about 4 km (it takes 10 minutes to come there by taxi and 5 minutes to drive there.). It is very easy for tourists to visit the famous destinations such as Japanese bridge, Hoi An museum and Phuc Kien Assembly Hall. 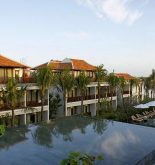 Furthermore, this resort has a spacious and quiet space with swimming pool and terrace having beautiful views. Tourists will find out 24 standard rooms with full of comfortable facilities. The best position of this place help you enjoy the charm of this old quarter easily and conveniently. 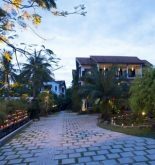 The houses in the town are overlooked from Vinh Hung hotel have the ancient roof filling green moss with winding alleys and the old rockery of memory and the past. The old quarter is recognized as the preservation of Vietnamese historical monument by UNESCO. Address: 111 Ngo Quyen St, Hoi An, Quang Nam, Vietnam. 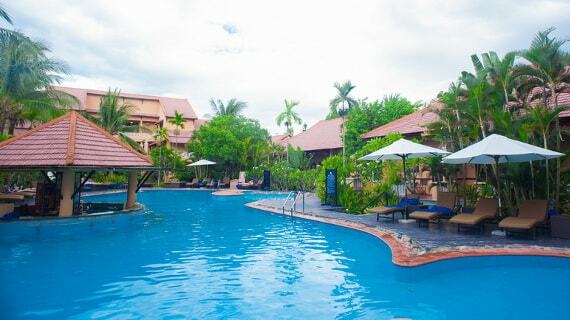 This information has been supplied by Vinh Hung Riverside Resort & Spa.